“Thank you so much for providing another wonderful marquee for us last week all at a moment’s notice and obviously at your busiest time of year. Very efficient as always”. “The layout worked so well and we could all see the band. The tent was beautifully warm, well lit and all in all terrific”. “Thank you for a thoroughly professional job. As you know, the Wedding went very well and the guests were certainly appreciative of the marquee and furniture. The caterers were impressed and your name was noted by quite a few people”. “Cheque enclosed for your splendid tent – I hope that you were as pleased with how it looked as we were? The service you offered from start to finish was first class. I will spread the word!”. ”Everyone loved the red & white marquee. You were right, it was perfect for the job. Great party!”. “With thanks for your help and your efficient team – see you next year”. “Just to say thank you so much – even all that snow didn’t stop us in the end! Once decorated out in the style of a beach bar we all had a fantastic night”. “It was all absolutely perfect and it was a real pleasure to work with you. You were nothing short of helpful, polite and professional and we are extremely grateful to you”. “Thanks so much to you and the crew for a great effort on the marquee – as seamless as your reputation suggested it all would be. Well done!”. 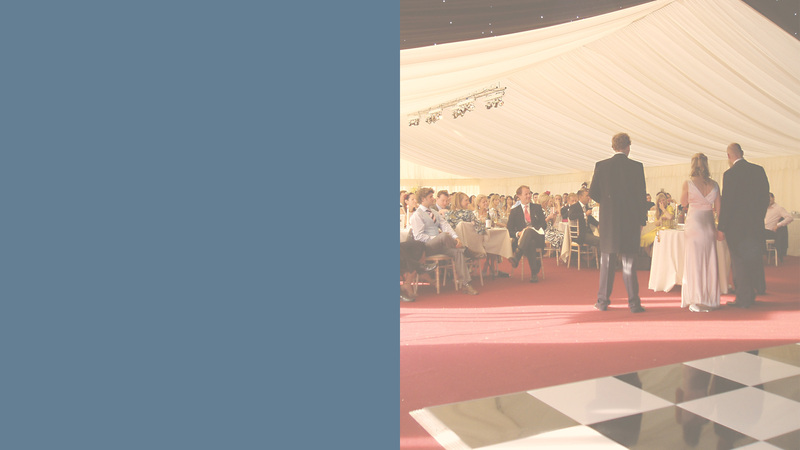 “The marquee looked wonderful and was so efficiently and calmly put up and taken down. It was amazing how you managed to create such a space in the garden”.